Governing policies in the Soviet Union consistently blended new ideas with standing tradition. As such, the conflict between the role of the modern ‘nation’ and the primordial ethnicities is very similar to other conflicts: the role of the government and the church, emphasis on peasantry and the quest to modernize, and Western culture and Soviet traditions. While the idea of a ‘nation’ was a modern construct, the Soviets hoped to supersede that with the identity of class. From the piece by Fitzpatrick, the origin of the ‘nation’ was developed from the villages uniting under feudal systems and then, eventually, identifying as a singular nation. The role of the clergy was the uniting fashion for these early villages and feudal city-states where religion was a large facet of identity, but some of this was lost in becoming a nation, when nationality became the strongest identification. In the Soviet Union, both class and nationality were prioritized as identifying factors. But, like many of the Soviet programs, this was a top-down forcing of a process that should have been natural, if it was to happen at all. As Nationalism and Class-ism was standardized, they became stratified and eliminated mobility. This had a special impact given that in the USSR class and nationality came with certain privileges, along with obligations and restrictions. Stratifying the population to such an extent actually damaged the ability for demographics to identify with each other, getting in the way of the Soviet dream of a unified class-consciousness. By trying to influence class and ethnic development toward a homogeneous culture, the Soviets created a number of dissatisfied and unique nations. This collection of independent mentalities would slowly fracture the Soviet Union. This entry was posted in Uncategorized and tagged Fitzpatrick, h254, Modernization, nationality, Neo-Traditionalism, Primordialism, soviet union, stalinism by ZiegZag4. Bookmark the permalink. You did an amazing job concisely condensing this article, especially given it’s difficulty. The map you added was a nice touch too, it gave me a picture of the geographic divides at the time. It struck a bell when you said that this “was a process that should have been natural”. This encapsulates the issue with so much of the Russian industrialization and modernization, and is such a simple way to describe how Russia could never seem to get out of its own way. Great analyzation and good writing. I agree–that was an amazing summary and analysis. I think I may have understood the arguments better in your post than when actually reading the piece. With each article we read I grow more impressed with the Soviet Union in two ways. One, in they way they meticulously plan and theorize on ways to move the Soviet Union forward and, two, how they consistently, unfailingly miss the shortcomings of their own plans-again, and again, and again. In this case, they’re trying to implement nationalism as a tool, as a means to an end, when they clearly don’t fully understand the idea. If they had understood the root of nationalism, that of identifying so fiercely with one’s nationality above all else, they would have feared it rather than forced it on the Union. Undoubtedly it is something that would have happened naturally, in time; history shows that nationalism is a phenomenon that transcends oceans, continents, language and religion. No state is immune. The Soviets just sped the process along, and made it a lot messier. Oh, yes! They plan and plan because the politicians are all ‘philosophers’ and theorists following Marx. Their world is that of Ideas, not people. In the realm of philosophy Marx was a revolutionary in a matter of years, but to develop a nation from a collection of villages takes centuries. This might be the largest shortcoming of the Soviet regime; an inability to wait. 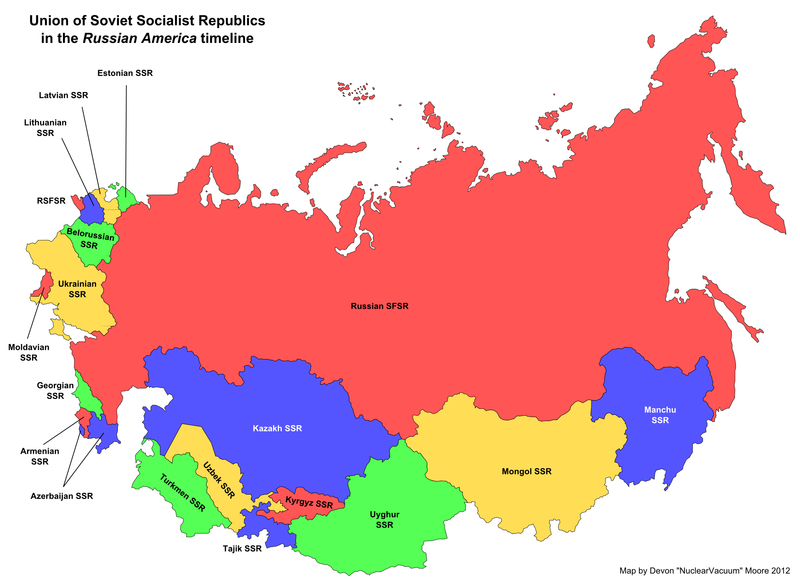 If they analyzed where they were instead of where they thought they could be, the Soviet Republics might have seen their incredible strides in the way of industrializing the country and the progress in widespread education. But, they focused on the amount of industry, instead of quality, to fulfill their Marxist fantasies. And even the education systems the USSR established became tools to promote this super-natural, super-striving, culture where the current accomplishments lost value in the face of the eminent utopia.